The year was 1976 when three young technology enthusiasts ( Yes!! 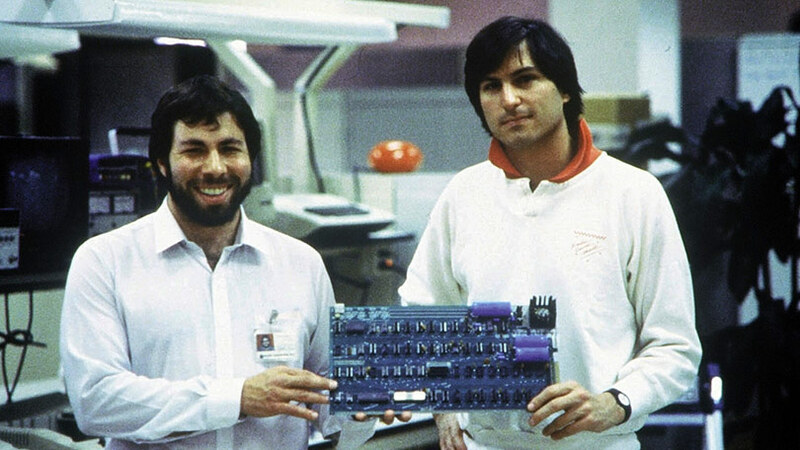 Its 3 and not 2) Steve Jobs, Steve Wozniak and Ronald Wayne started a company named Apple Computers in a garage owned by Steve's parents. Their first computer the Apple I was just a mother board with CPU, RAM and basic textual-video chips. But later their next iteration, the Apple II was a major commercial success and brought the company to a monopolistic position. And the rest is history. We all know about the Rise and Fall and again the Rise of Apple. But lately Apple has seemed to lost its magic as their products don't reflect what Apple actually stood for and what their former CEO Steve jobs stood for. To cut a long story short, lets go back to the good old 90's. It was 1997, Gil Amelio then CEO of Apple Inc. was ousted by the board of directors after overseeing a three-year record-low stock price and crippling financial losses. Steve Jobs acted as the interim CEO and began restructuring the company's product line. It was during this period that he identified the design talent of Jonathan Ive, and the pair worked collaboratively to rebuild Apple's status. This was the period when Apple was brought back to its former glory of the early 80's under the leadership of Steve Jobs and came up with some really good products that had all the features that was needed to make a great product. It had a great design, the latest technology that was simple and less buggy and of course the magical touch of Steve Jobs and his marketing strategies. Apple came up with products that soon became a cultural icon like the iBook clamshell and the iMacs which were so popular that many of these were even features in movies. But the real deal came in the year 2001 with the introduction of the product that fits a 1000 songs in your pocket, the iPod. Then came the iPhone in 2007 followed by the iPad in 2010 and the macbook and iMac line ups were also making headlines simultaneously. Not to mention the fact that each and every time when Steve Jobs came out on to the stage to launch a new product, it would be nothing less than a visual treat to watch him present. His marketing techniques were so good that it convinced people that Apple products are the most superior piece of technology in the entire computer industry. This is what some would call as the "Steve Jobs's reality distortion field". Apple under Tim Cook is not the same as Apple under Steve Jobs. Steve Jobs had the ability to make things happen through a sheer force of will which some might consider as dictatorial tactics but whatever it might be, it has definitely worked very well for Apple but under Tim Cook, it seems that Apple is slowly forgetting their recipe to make great products that in turn makes people go crazy. Ken Segall is the author of the New York Times Bestseller Insanely Simple, who once worked with Steve Jobs and came up with the Apple's "Think Different" campaign, did a great analysis and reported that "Apple seems to have lost the focus of functional simplicity from the design of hardware and software to more complex product lines and even company structure". Back in the days when Steve Jobs was the CEO of Apple, the product line up of the company was more focused and simple and met the user requirements from every point of view possible which made Apple's product stand out of the crowd and create a monopolistic status in terms of mobile computing market. Steve Job's vision was to put the most sophisticated technology in the most simplest possible form in the hands of every individual person. Apple under his leadership stood for this cause and made some incredible products that were sophisticated and simple. Apple's products never came cheap, their pricing has always been premium but the amount of features that we got for that price made it look like a wise choice to buy an iPhone, iPod or a Macbook. But now that is not the case. Apple, since the demise of its former CEO Steve Jobs looks to have lost its potential to innovate and has failed to pack their products with features that made it worth for the price they are tagged in for. 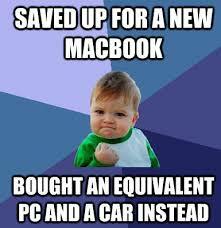 A simple example of how arrogant they have been towards their customers lately is the release of the 2015 Macbook and its second iteration, the 2016 model and the latest Apple's line up of Macbook pro. Apple decided to remove all the ports that shipped with the previous Macbook Pro(Even the SD card slot) and has provided with 4 Thunderbolt ports(or USB-C ports) and increased the price of all the Macbook Pros enormously. This infuriated many Macbook fans around the globe because the new line up of Macbooks needed a lot of connectors, ports and dongles even to connect their own iPhone to a Macbook. And the latest iPhone 7 is also priced so high but its price tag does not justify its features. Apple has to definitely work on its pricing and also provide more stronger reasons to justify its product's price tag. Macbooks are becoming more thinner and stylish at the expense of certain key features like USB 3.0 ports, Ethernet ports and SD card slot which many of its customers found useful. This can be termed as sheer arrogance through design. While on the other side, Apple's competitors in the smart phone and the PC industry are coming up with more innovative products or at least with products with almost same features of an Apple product with lesser price tag. For some reason Apple has been hesitant in coming up with laptops with touch screen capabilities and rather came up with a touchbar which seems to be an interesting re-imagination of the usual function keys. But its PC competitor Microsoft has been doing well with its touchscreen tablets that can also be used as laptops and Microsoft has also been innovating immensely and exploring new areas of I/O and they are coming up with new interfaces which seems like a progress.